danger garden: Why Grow That, When You Can Grow This? 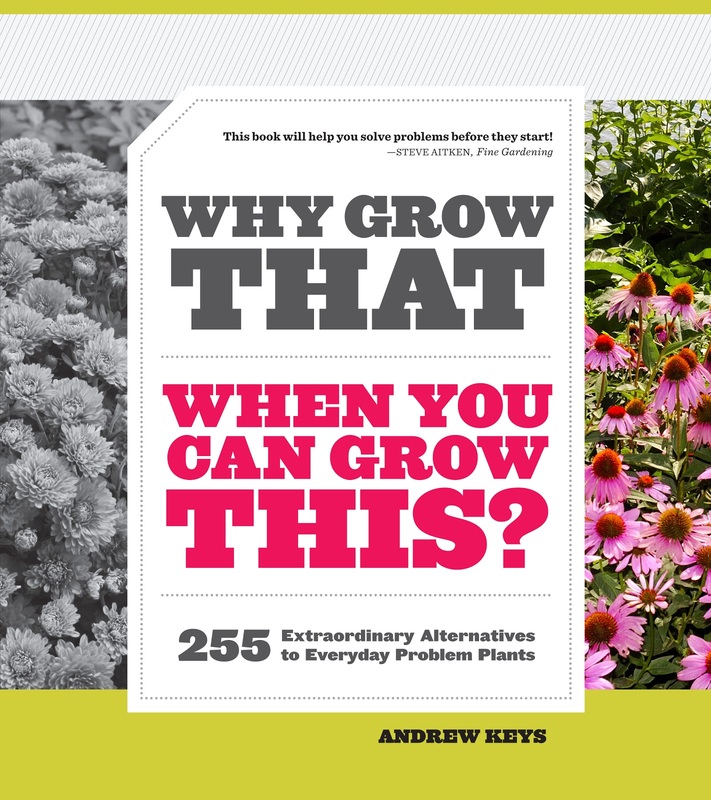 Let’s face it, Andrew Key’s new book Why Grow That, When You Can Grow This? 255 Extraordinary Alternatives to Everyday Problem Plants was not written for me. He begins by acknowledging that as gardeners the grass is always greener “in the other garden” you know...we want what we cannot grow. Sure, I hear that, Lord knows I hear that. But then he lost me. Okay, I kid. As much as I love pushing what will grow in my garden there are times you just have to accept the plant you are drawn to is just not the right plant for you. Andrew helps readers through this realization by identifying plants that replicate at least three or more traits of the “problem plant,” things such as hardiness, shape, color, texture, light, and size. And as a bonus this also means if you adore a particular plant in your garden the alternatives provide ideas of how to include more of what you love. 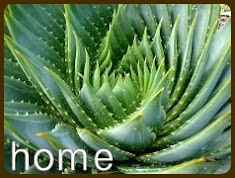 For instance as an alternative for Yucca filamentosa (evidently some people see this perfectly lovely creature as a “gas station plant” and thus an unsavory character, whatever!) he offers Dasylirion wheeleri, which I believe is a wonderful, yet underutilized, plant. This brings me to another point about the book; it was an education to read what some of the problem plants were and why they were seen as such. 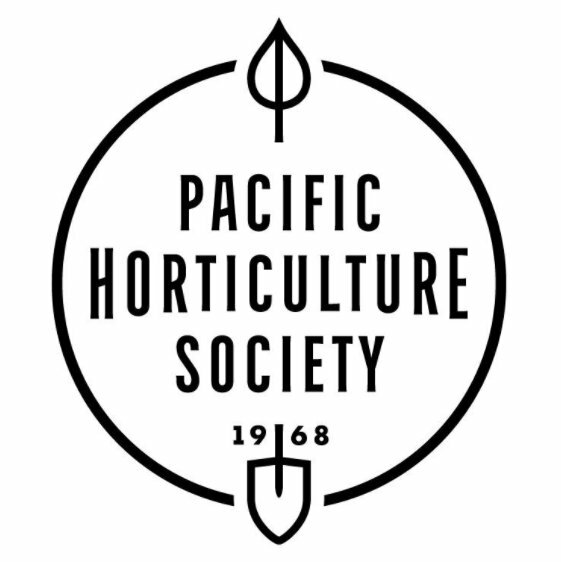 For instance everyone’s favorite hardy palm (at least here in the Pacific Northwest) Trachycarpus fortunei was said to look best “in the neighbors garden” because up close they are all trunk, oh my! Plants like roses that tend to be problematic because they get pests or diseases that require unsustainable inputs of time, maintenance, fertilizer, chemicals, etc. 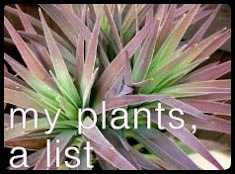 Plants that only have one season of interest, especially when there are underused alternatives that do something similar in one season, but do other cool stuff the rest of the year. 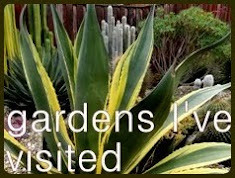 Plants that aren't hardy or don't thrive in or some significant portion of North America, like agave not overwintering in-ground in really cold, wet regions (oh, how I wish it would), or peony where it's hot. 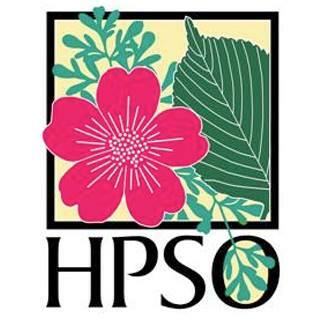 Plants that are considered invasive species in some significant portion of North America. Scotch broom in the Northwest, for example. Plants that are often pegged as boring or overused, like hostas, for better or worse. Thank god he see's beyond the Yucca's "gas station" reputation! I do love the problem/alternative section, there is so much information packed onto each page, and pictures too. The one puzzling thing is that Andrew gently urges his readers to get comfortable using a plants botanical name (and rightfully so), pointing out the confusion that can arise from the use of common names. But then the layout of the problem/alternative section puts the common name at the top of the page (prominent placement) with the botanical name appearing underneath in very small print, very small. Odd. So for me the best part of this book might not be the actual substitutes presented within, but the way it gets me thinking about my plant choices. And that’s a very good thing! Wow...plants destroying curtains...maybe it really is time to admit you have a problem. 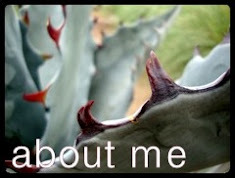 I think the closest I've ever came to that was the time the agave I was over-wintering in our bedroom (it had great light in there!) stabbed Andrew and drew blood. A very perceptive, and helpful review. 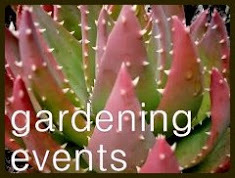 Sometimes I pin garden-related stuff on Pinterest simply because it gets me thinking. I love books that do that too. So you decided to try another Yucca 'Bright Star"? Didn't you kill a couple? I hope it thrives for you, and that you found the right spot. I have three and I love them. That's a gorgeous Trachycarpus in your neighbor's garden. I love their bare, hairy trunks. They work in a narrow space, like that spot close to your neighbor's house. After the blog post where I mentioned my bad luck so many people reported positive experiences that I decided to try it again. Especially when I read Mark & Gaz say how hard it could be to place in the garden...that's when I realized it would be just perfect for this spot. Oh Loree, I'm sorry, I didn't mean to sound harsh. I was thinking of that saying about how you're not really a gardener until you've killed the same plant three times. Forgive me for speaking without really thinking...? Wow, sounds controversial ... windmills look best in your neighbours garden = sad. Not true! I happen to be a fan of the hairy trunks and there are those who strip their trachy to expose the a skinny and slender trunk. But I like that he suggested your dasylirion and defends the yucca. I heard someone call them "yucky yucca." I told them they were offensive. But best of all is your comment about collecting a garden of problem plants with no desire to play the substitutionary hardiness game (a thought I've had for a recent blog post). I LOOOOOOOOOVE your new yucca bright star!!! PS: I dreamed I planted echiums and that they were blooming! I think its a sign! I've seen some of those stripped trunks, they look so sad and defenseless to me. Regarding your blooming Echiums as a premonition...have I mentioned I'm starting to worry? No frost and it's December! I just don't want some crazy arctic blast to hit before the plants have been hardened off. But then if we could avoid a freeze all winter...well I think you know how happy I would be! What I really want to know is what zone Andrew Keys gardens in and what his climate is like year-round. His location is bound to color his perception of "problem plants" and inform his "solution plants", right? I'm also slightly aghast that he considers Trachys problem plants. So what to grow instead? Guess I'll just have to buy the book! Andrew is in New England, Boston I believe, and born and raised in the Deep South (both these factoids from the book). And yes definitely his personal experience has to play a part. That's why I asked him how he came up with the list. He also is a garden designer so I imagine he's heard a lot of clients tales of what they wish they could grow and problem plants. 2. Staghorn Sumac (Rhus typhina) I loved this substitute! I've always kind of thought it had a palms gracefulness. 3. Needle Palm (Rhapidophyllum hystrix) which I had never heard of before, turns out it's a short little bushy thing...the opposite of a tall Trachy. A very witty, and gently humorous book review! But I did laugh when I read the bit about 'after-all I collect problem plants', how true (in a good way) but that's 'danger gardening' for you, or in an even broader terms 'gardening on the edge of hardiness'. Problem plants lists really are going to be different for different regions, and ultimately also reflect personal likes and dislikes. The rational as a garden designer or writer to offer solutions for problems is a good one in principle, but will tend to be generic if attempting to cover a region as vast/varied as the USA. 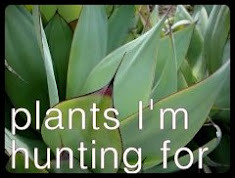 I wonder how much it will capture the attention of obsessive/compulsive plant collectors, as our whole modus operandi is not quite in sync with making gardening easier, is it? Oh now see I love the palm in your photo...but I also think a huge part of why it works is because of where it is and the overall design of the home/garden. Up here in the PNW it just looks like it needs that fuzzy sweater to stay warm! I agree (and think Andrew would too) about problems being regional and personal...and also that collector isn't ever going to want the easy alternative (at least while "her" back is still strong enough to haul around containers...). Oh boy, I see the pot is stirring already! Is it weird to comment on a review of your own book? Maybe, but since I comment here all the time anyway, I figured it would be weirder not to. I am, however, just going to pop in to say a huge THANK YOU for reviewing, the intro cracked me up, and then I'm going to leave the pot to simmer? Boil? Call the kettle black? That last one may be the most fitting, since this book was born out of my own penchant for trying to grow "problem plants." I will see you in Seattle, and in the comments here in the meantime! 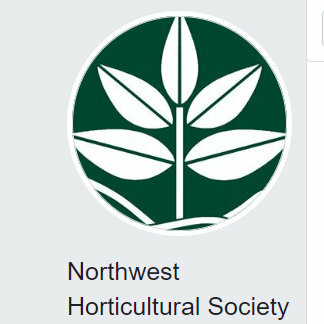 Looking forward to Seattle (February can't get here soon enough as far as I'm concerned)...and I see you've got a new Garden Confidential podcast out too, invasives! That's bound to be a little controversial...just can't stay on the safe side of things can you? Opinionated garden writers are always the most fun and thought-provoking to read. I'm sold. However much one has learnt there is always so much more out there and books like this lead us down the pathway to perfect harmony in the garden. I could take a lesson from all he has to say but which one of us is not trying desperately to grow something they shouldn't. I would give a caveat to the dasylirion, however. This is a big plant in central Texas and a beauty but it does have to be in the right place. I originally had it in my front garden where it grew to this enormously dangerous size. It then went on to send up babies around it which completely ruined the look set by the single plant. I enlisted the help of my under-gardener to remove and literally threw it outside in the wild place. I should have been more thoughtful as to where I threw it because it was no over and done with and promptly took root and has never been happier. Interesting to read about your dasylirion experience Jenny! I've had several in the ground for years. The oldest dates back to 2006 and it's maybe triple the size it was when I planted it. Just a small thing back then and still on the small side. Interesting what our different climates do to the same plant! I love your review. . . I confess to being one of those who gets snobby about all the gas station plants, though of course we won't hold that against Yucca. It's hardly Yuc's fault. Hey, so excited that you're going to be at the 2013 fling! I'm hoping to make it, myself. Great when it's so close. Being able to drive to the fling definitely helps to keep the costs down! Now I'm just hoping the hotel isn't too expensive, it would be great to meet you!